Chances are you know a kiddo or two who loves PAW Patrol – after all, it is one of Nickelodeon’s most popular shows! 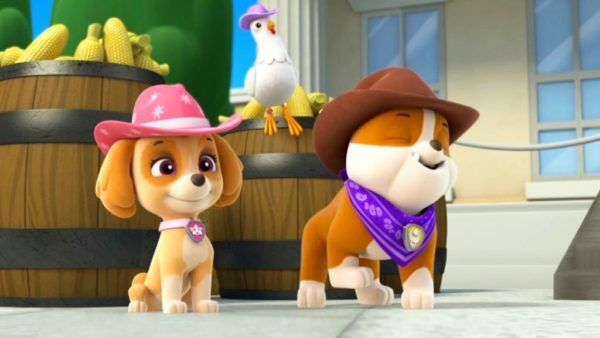 Led by 10-year-old Ryder, the plucky pups of PAW Patrol are rescue dogs in training. Each pup is inspired by a real-world job like fire fighter, police officer, and construction worker. And now you can own a special collection of three action-packed PAW Patrol DVDs with the PAW Patrol: PAWsome Collection! 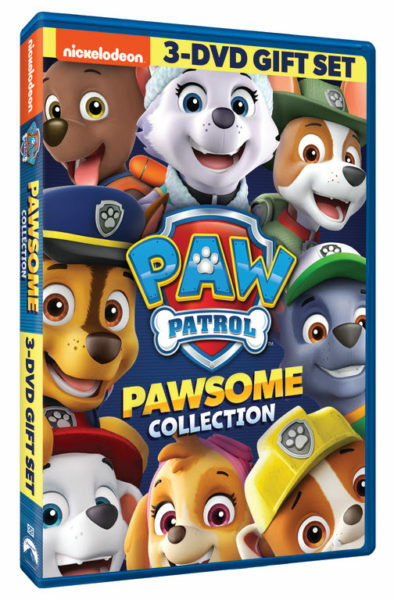 PAW Patrol: PAWsome Collection will be available on DVD February 5, 2019 for the suggested retail price of $27.99. For some extra fun, grab these PAW Patrol Printable Activity Sheets! 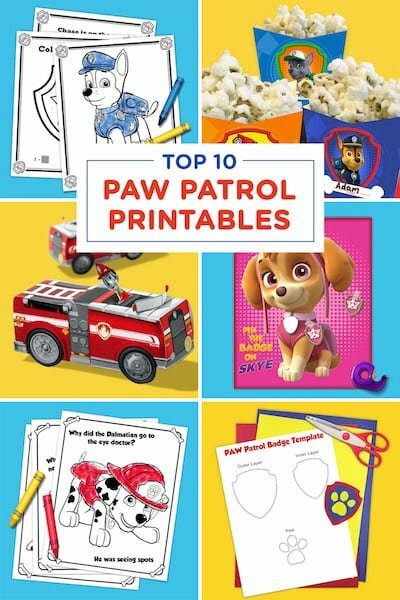 There are coloring pages, a joke book, a paper fire truck craft, DIY PAW Patrol Badge and lots more! 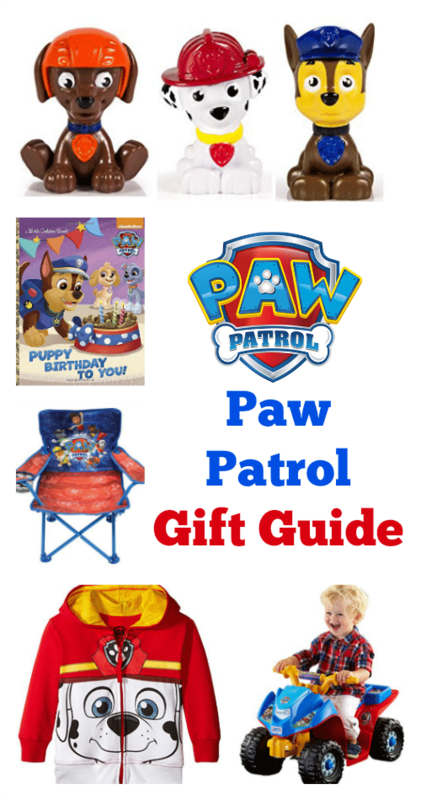 You can also view this PAW Patrol Gift Guide for some fun ideas for what to get the PAW Patrol fanatics in your life! Reader Giveaway: One lucky Jinxy Kids reader will receive the PAW Patrol: PAWsome Collection on DVD. To enter, complete the entry form below by 11:59 pm ET on 2/25/19. Good luck! My cousins son will be watching this movie if I win. He loves this show. I will be giving this to one of my friends if I win – their children love Paw Patrol! I think that we all enjoy watching Paw Patrol because we love animals. Also- the different characters are fun and super cute. My grand daughter loves watching the Paw Patrol. She is a baby and gets so excited when she sees them. I would love this for her. My nieces love Paw Patrol. My boys have watched Paw Patrol for years. They like Ryder and the team. My grandsons will be watching the PAW Patrol: PAWsome Collection if I win! They love the stories, action, and characters! My cousin would watch and love this!! My nephew loves paw patrol! My 2-5 year old granddaughters LOVE Paw Patrol. Skye, Marshall, all of them. This would be kept at mom moms for when they come over 2 days a week and a day each weekend for them. My nephew loves paw patrol so I would give this to him. 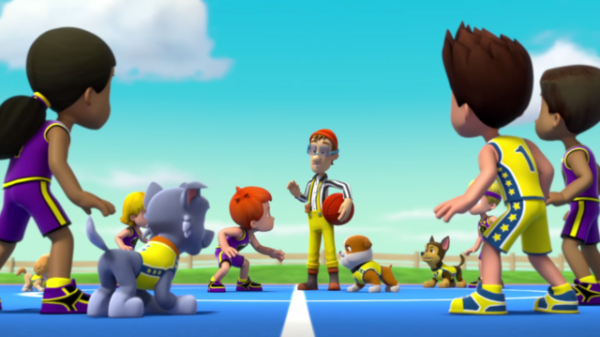 My grandchildren will be watching the PAW Patrol: PAWsome Collection if you win. My 3 year old Josiejo would love this! My 2 daughters love this show. In fact, I just bought my daughters a Zuma doll today to complete their Paw Patrol doll collection. I would love to share this DVD with them and watch it on our family movie nights. I will be watching these with my grandson. He loves all the Paw Patrol characters. This is such a cute show! My nephews love to watch it. My granddaughter would love this! She loves watching paw patrol! We watch together! Me and my kids like paw patrol because it is cute. My son would be watching this alot. My grandchildren will love watching this! When my son and my cousin’s son get together, they love watching this show together. My nieces love Paw Patrol because they love dogs and the characters have great personalities! My granddaughter will watch this, Chase is her favorite. My granddaughter will watch this, she loves Chase the most. My 3 year old will watch this! I’ll be watching Paw Patrol with the kids. My daughter has been watching PAW Patrol obsessively for two years now. I know more about the denizens of Adventure Bay than I do the lady who lives next door. I will be watching with my granddaughter. My four year old son loves all things Paw Patrol. He loves Ryder the little boy who runs their little rescue team and Marshal who is so clumsy! He loves Rocky because he moves rocks. He likes Rubble because of his bright colors. Sky because she flies and Chase because he loves Police cars and Zuma because Zuma is a water dog! My son James loves the Paw Patrol. Chase is his favorite character. My son loves watching the Paw Patrol save the day! I would be watching this with my kids and my niece and nephew!!! They all love paw patrol!! everyone here loves Paw Patrol, they are just so cute! My son is obsessed ith Paw Patrol. He loves dogs and also loves that they are like super hero dogs and that they go one missions. My niece would like to watch Paw Patrol. My littles are two and five and they are huge Paw Patrol fans! Our Samantha loves the Paw Patrol because she loves dogs. My 2 daughters are fans of Paw Patrol and would be watching this if I win! I want my grandkids to see this. There needs to be more kid friendly shows like this! My grandkids love paw patrol because they love dogs. My grandchild will be watching this with me as his companion. I will be watching this with my 1 year old grand daughter..She loves this show.